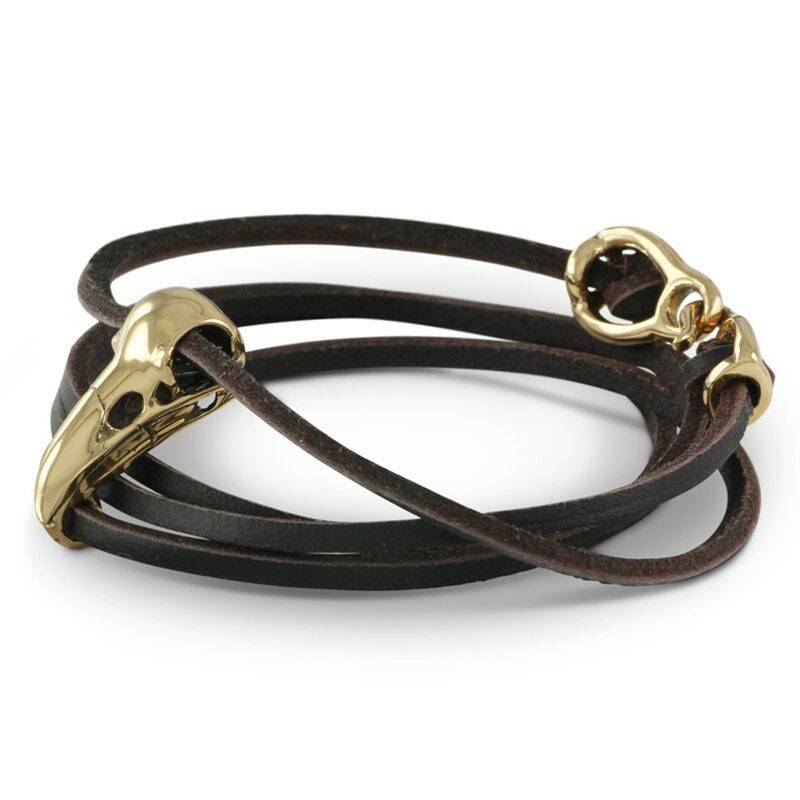 My bird skull bracelet. Beautifully detailed and cast in the finest bronze, it's a smaller version of my popular Raven skull pendant, only this one has a small loop under the tip of its beak to allow the leather to pass through it and hold the skull in place. The leather also passes through it's eyes and it sits brilliantly on your wrist. The Skull itself measures 24mm, tip of its beak to back of its head. There's just under a meter of either black or brown Spanish leather so there's plenty of room for maneuver - it will generally wrap 4 times around your wrist and looks great. The bracelet also comes with simple instructions on how to adjust the clasp. .
great service, prompt delivery. bracelet is as beautiful as the picture. Beautiful piece and excellent communication. Would definitely purchase from again! Beautiful work from the seller!